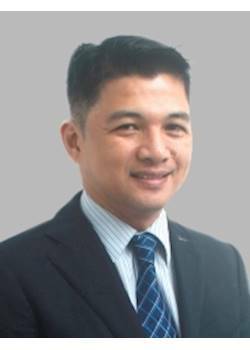 Benjie Tabayag has more than 15 years experiences in Solution Selling, mostly in the field of Information Technology. He has extensive experience as a consultant in modeling business solutions to top 100 Philippine companies in different industries such as banking, insurance, retail and freight forwarding. Born and raised in Manila, Benjie finished BSBA major in Management from the Philippine School of Business Administration in Manila. Benjie’s core strengths include understanding the business process and challenges of customers; establishing and maintaining customer relationships; presenting value and benefits of the solution to owners/decision-makers; and provided extraordinary levels of after sales support. Benjie developed consulting skills in the areas of Enterprise Document Management, Business Intelligence, Enterprise Asset Management, Business Performance Monitoring Solution, Enterprise Content Management, Business Process Management (BPM) or workflow and HR/financials Enterprise Solution. His vast experience in providing business solutions assisting his clients and customers over the years, compliments his role as a Business Broker of LINK.